Created in April 2010, Astrimar is an independent specialist engineering consultancy delivering excellence in Reliability, Integrity Assurance and Technical Risk Management. 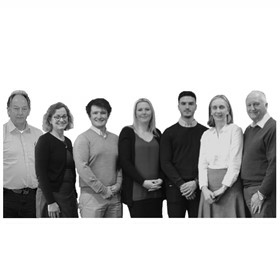 Our highly trained team are experts in the areas of technical risk, integrity management, reliability engineering and qualification assurance in the oil and gas, and the wider energy, utilities and water industries. Our consultants have many years' experience supporting a variety of development projects and operating assets. Corporate support has also been provided to a number of companies developing and implementing reliability engineering and management practices. We offer a range of services to support clients as they work to develop and implement their own reliability and risk management practices including alignment with industry guidance such as that provided by the American Petroleum Institute (API), the Energy Institute (EI), and the International Standards Organisation (ISO). From analysis and assurance to verification and training, we add value to our client's business in technical risk, integrity management and reliability by supporting the delivery of highly reliable systems and solutions. We pride ourselves on the full integration of the system reliability solutions we deliver: from design through to system operation. Astrimar services are applied to design and development projects, operating assets and companies across the energy and utilities industries: including onshore, topside and subsea oil & gas production systems, drilling systems, BOPs, subsea wellheads, pipelines (onshore and offshore), flowlines, risers, process and utilities plant, control systems, umbilicals, water and gas distribution and power transmission.